If you’re into niche wellness trends, you’ve probably heard about Shape House in Los Angeles. Dubbed an “urban sweat lodge” by its founder, Sophie Chiche, Shape House is a place where you go to do just that—sweat. The wellness boutique, beloved by Selena Gomez, the Kardashians, New Girl star Hannah Simone, and others, first opened its doors in 2012 and has since expanded to nine total locations. I recently visited the new Studio City, California location and spent 55 minutes sweating my life away. The idea is simple: You spend just under an hour wrapped up like a burrito in an infrared sleeping bag, getting progressively hotter and sweatier, all the while relaxing in a bed and watching Netflix. The benefits, according to Shape House, are many: clearer skin, better sleep, weight loss, addiction treatment, and more. One 55-minute session is $70. The concept was inspired by an experience Chiche had as a child growing up in France: She broke a bone, and an infrared sleeve was placed on her arm to help speed up the healing process. “The nurses were very aware that it was doing a lot of other things. 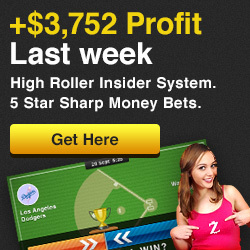 They even started putting it on people who didn’t have any breaks,” she explained to HG. The nurses noted that it was helping people sleep better, and they were even asking for less medication, said Chiche. The science on sweating is mixed—some studies say infrared therapy can help heal wounds and improve cardiovascular health, while there’s little agreement on sweating’s “detoxing” effects—but regardless, plenty of people are singing sweating’s praises. So I went in with an open mind. Before I go on, a note about the term sweat lodge: The sweat lodge is a tradition among some Native American groups that involves sweating in a hut of sorts, sometimes for hours, to heal and purify. It’s sometimes used today to help those suffering from addiction. As one study noted, “The sweating process in the ceremony requires mental and physical fortitude, bringing with it a strong sense of accomplishment, thus providing an ideal vehicle for those who want to commit to change.” The sweat lodge is a sacred ceremony that has unfortunately been misappropriated by non-Natives for profit, in some cases stirring up outrage. Since Shape House doesn’t actually function as a traditional sweat lodge—in a sweat lodge, water is poured over hot lava rocks by elders trained to conduct the ceremony—I asked Chiche why she chose that moniker. She explained that she’d visited a traditional sweat lodge in France in her 20s as a journalist on assignment, sweating for seven hours with a sick little boy and his family, hoping for healing. “It was the most magnificent thing I’ve ever done,” she said. Wanting to pay homage to that experience, she adopted the term “urban sweat lodge,” but explained to HelloGiggles that she got some pushback when she was opening her first location in the Larchmont neighborhood of Los Angeles. The woman she hired to paint her sign refused to do the work, saying her significant other was a Lakota leader and that Chiche was appropriating the sweat lodge concept. “I was like, ‘What! No! I’m honoring it!’,” said Chiche. So Chiche said she asked to meet with the man and explained how her sweat lodge experience had shaped her. Chiche told HG that the man ended up asking his partner to not only paint the sign, but to do it free of charge. “That was so deep for me and so moving,” Chiche said. When I visited Shape House, I was met by an attendant who sat with me on a couch and explained what to expect, noting that the last 15-20 minutes of the sweat would be the most intense. After handing me body-covering clothes and socks to wear, she tucked me into bed and handed me the remote—watching Netflix is encouraged at Shape House because, they say, it helps to distract you from the discomfort of the process. I felt great for the first 20 or so minutes of the experience. I was a little squished in my sleeping bag, but the attendant came by and helped me get settled. After 40 minutes in the bag, she brought over a wet cloth soaked in lavender and placed it on my forehead, checking in to make sure I was still okay. As my episode of Jane the Virgin wrapped up and I entered the last 10 minutes of my sweat, things started to get intense—exactly as I had been warned. My heart was racing, I was boiling hot, and I had to rip open my velcro sleeping bag to allow my arms and chest free. I felt a panic attack coming on—a normal response to heat for some people with anxiety—and I needed to calm down. Reflecting on the experience afterwards in the relax room, I found it strange that watching TV is a recommended part of the experience. I once spent 90 minutes in a sensory-deprivation tank, floating in warm water in total darkness and silence, and I had a profound and spiritual experience. Similar to Shape House, I was putting my body through something extreme, but in the tank I had the space to allow my mind to wander and grapple with some long-buried anxieties. I wished I’d been able to do the same in my sleeping bag. it’s #worldwaterday! hydration is key in all areas of life, but certainly at shape house. that’s why we’re partnering with @thewaterbearersorg to help give water to those in need. check out our story for more info! My takeaway from this experience is that perhaps I was looking for something Shape House hadn’t set out to give me. Where I wanted a spiritual journey—something like what Chiche described in her sweat lodge experience—I got an hour of me time in a warm bed watching my favorite show. Certainly not a bad thing. My expectations didn’t align with my reality, though, so I ended up more annoyed than blissed out. As far as the physical benefits are concerned, I think I was too disconnected from the process to really experience them. I didn’t sleep well that night (though I’ve been having trouble sleeping lately, so that’s probably an anomaly) and I wasn’t ravenously hungry for two days after my sweat even though my Shape House attendant said I might be, since sweating is supposed to speed up your metabolism. I did feel less stressed in the days after my sweat, though, so perhaps the two are linked. All in all, if you’re looking for a way to relax, get away from your phone, and just zone out for an hour, Shape House might be just what the doctor ordered. 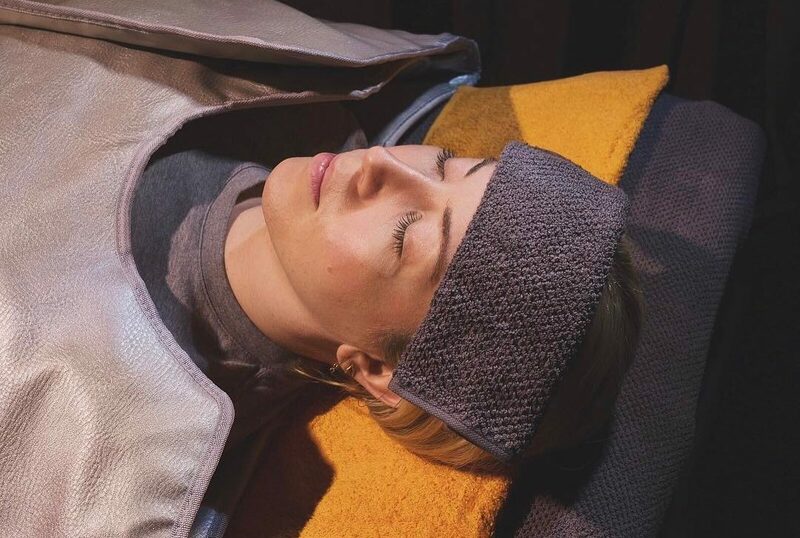 The post I spent an hour sweating in an infrared sleeping bag at Shape House, an “urban sweat lodge” in Los Angeles appeared first on HelloGiggles. ← [UPDATE!] re [Article] “What I learned about weight loss from spending a day inside a metabolic chamber: One of science’s best tools for understanding obesity is debunking myths about metabolism.” — Article Author Stops By!